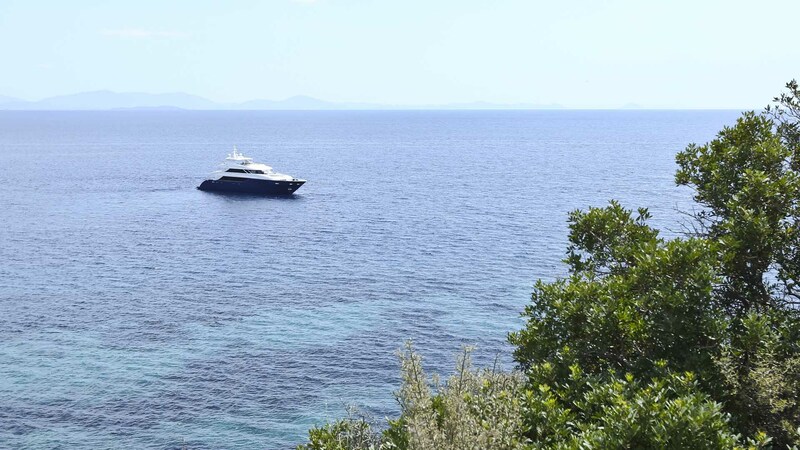 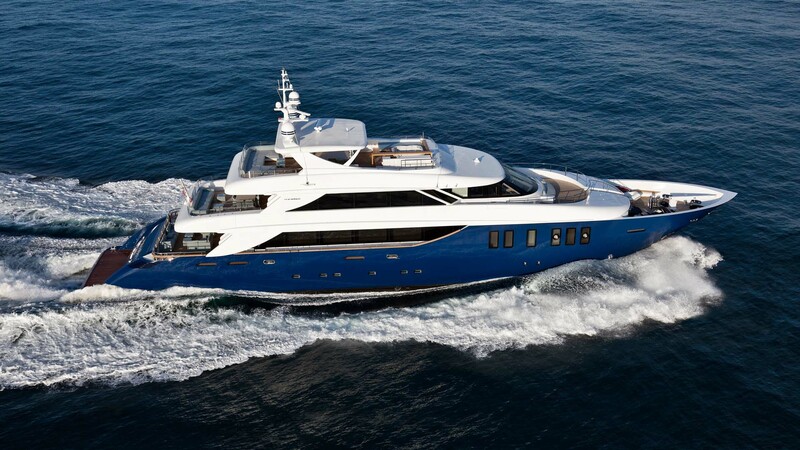 A super luxury yacht along 45 meters, able to accommodate up to 14 people. 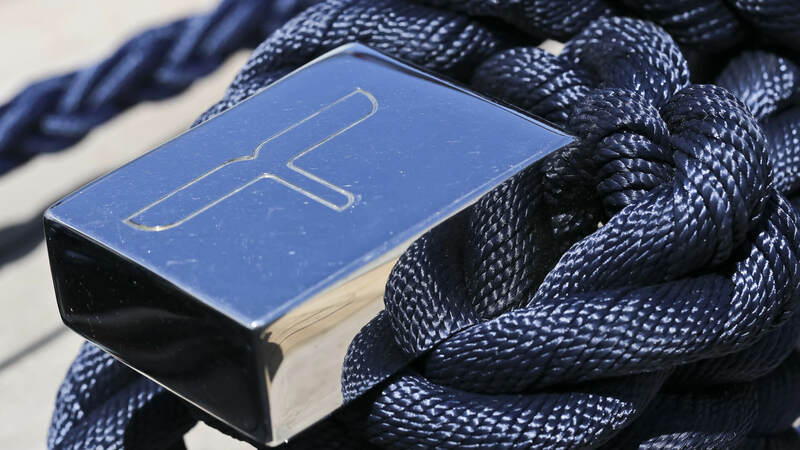 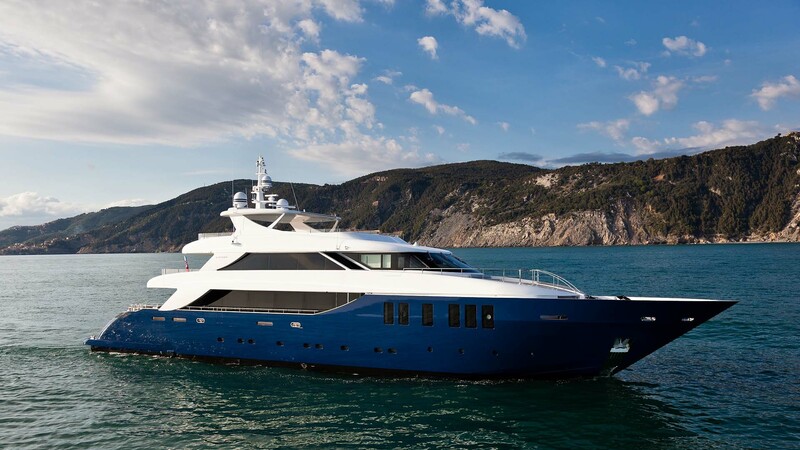 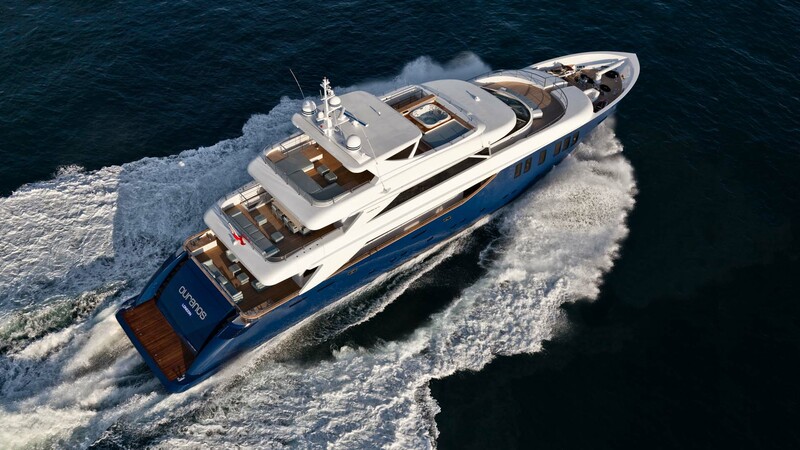 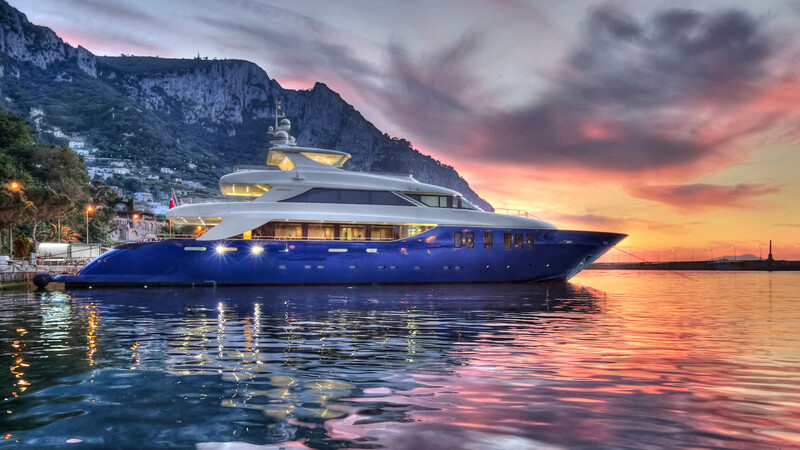 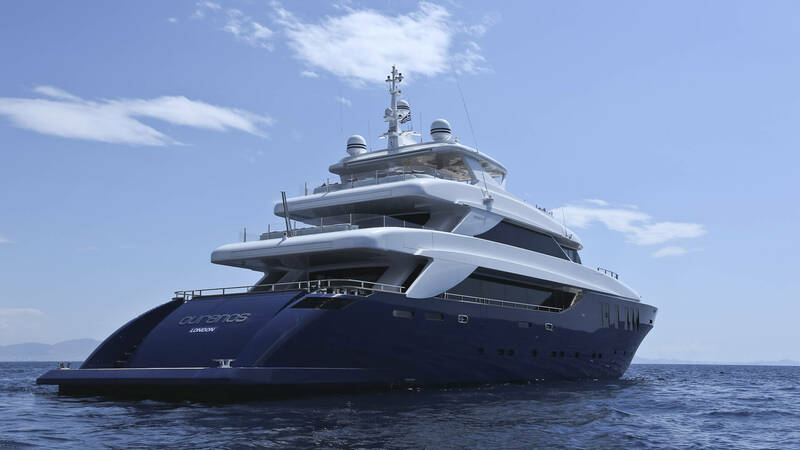 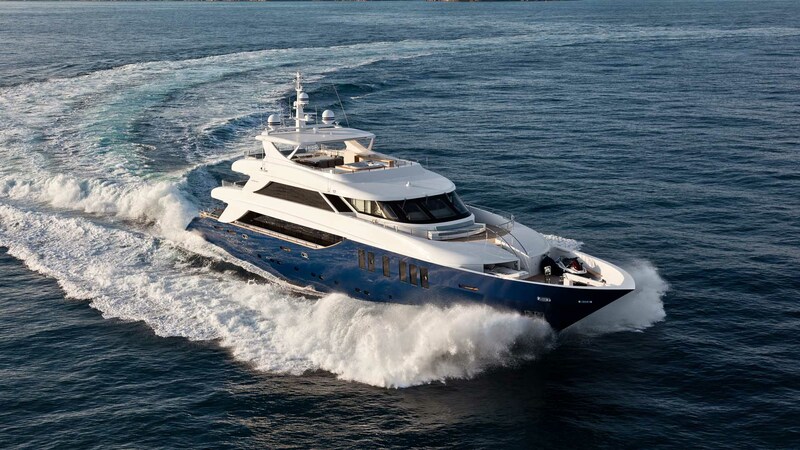 Designed to ensure maximum comfort possible, is a combination of style and elegance, also emphasized by the contrast of the Blue hull with white superstructure. 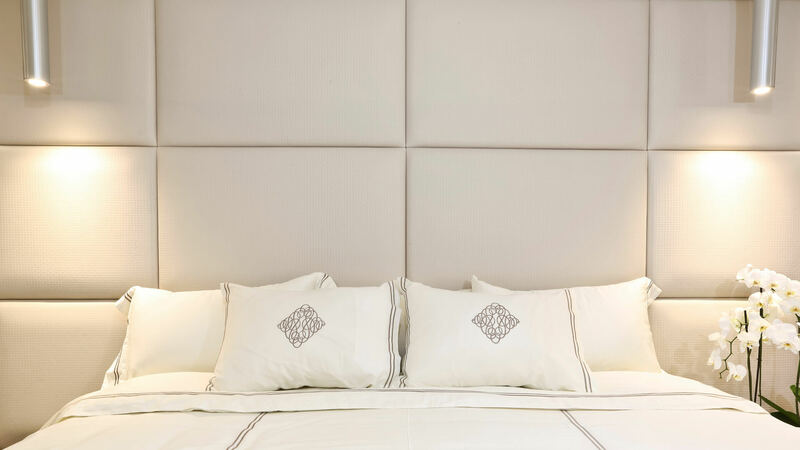 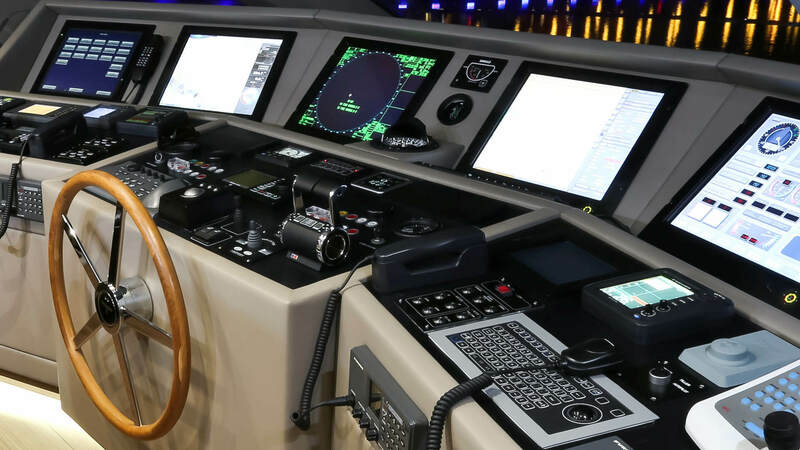 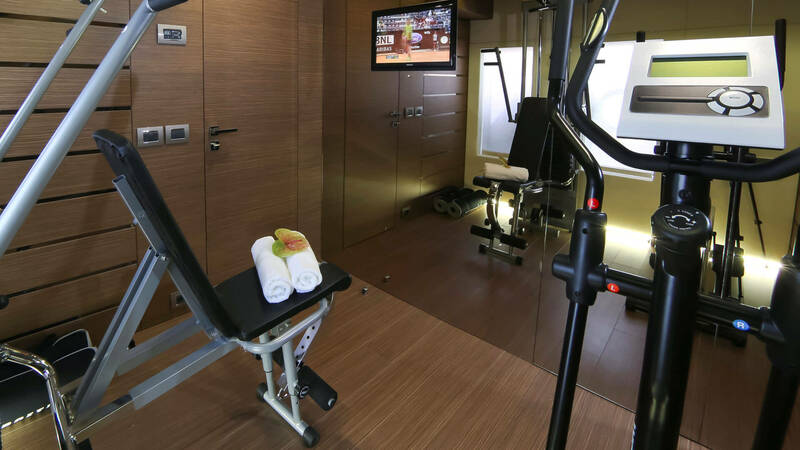 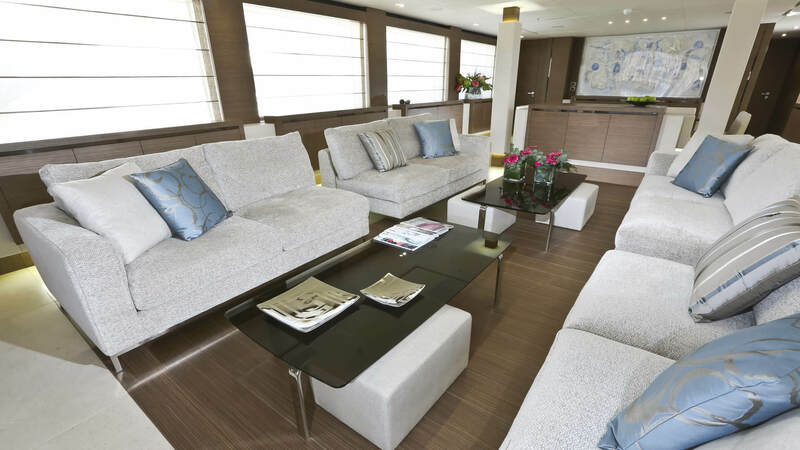 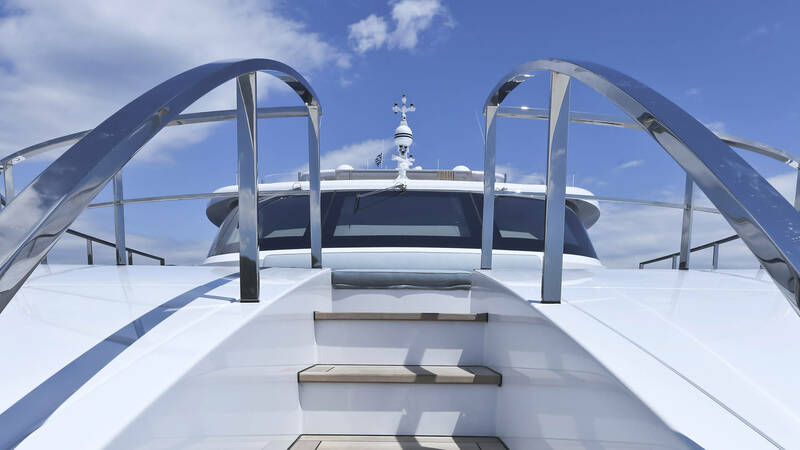 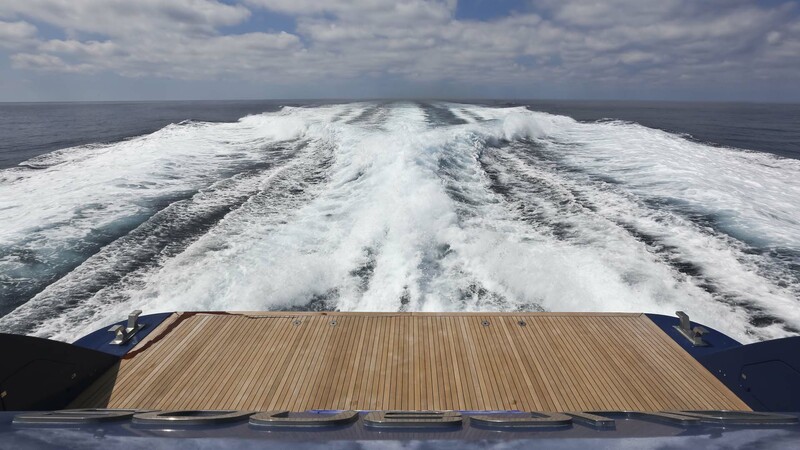 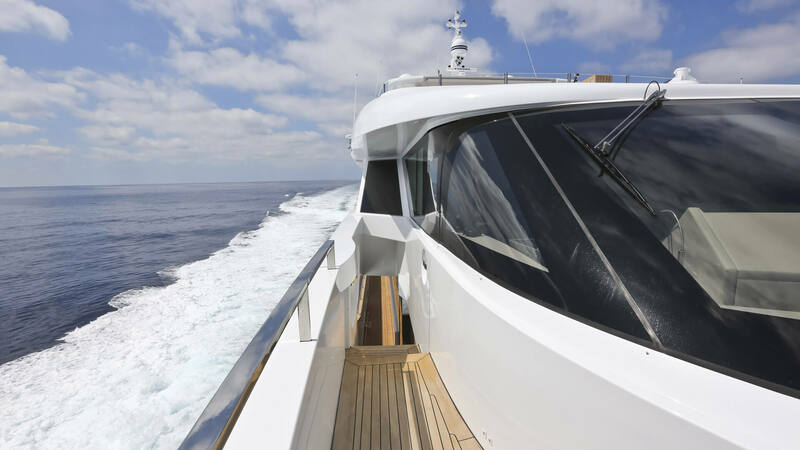 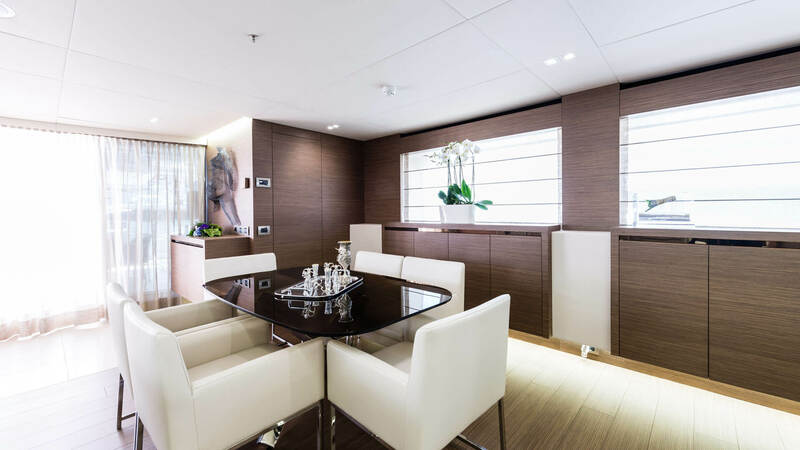 Thanks to its three bridges, three dining areas, the art audio-video system and the wide range of sports equipment and water toys, offers so many fun options to guests on board. 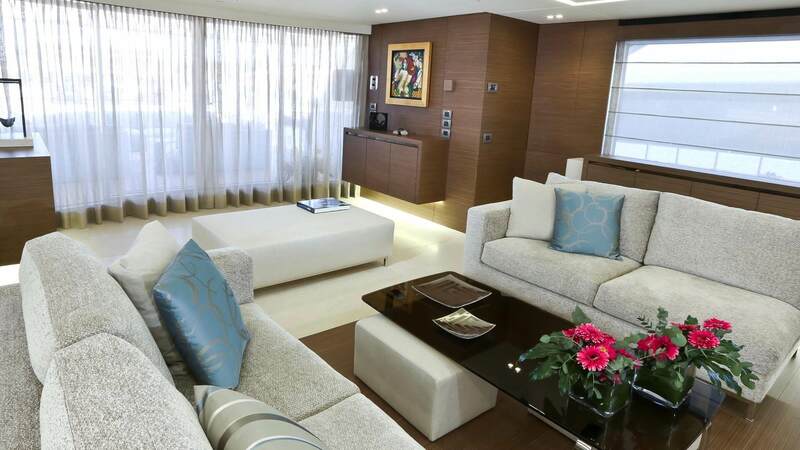 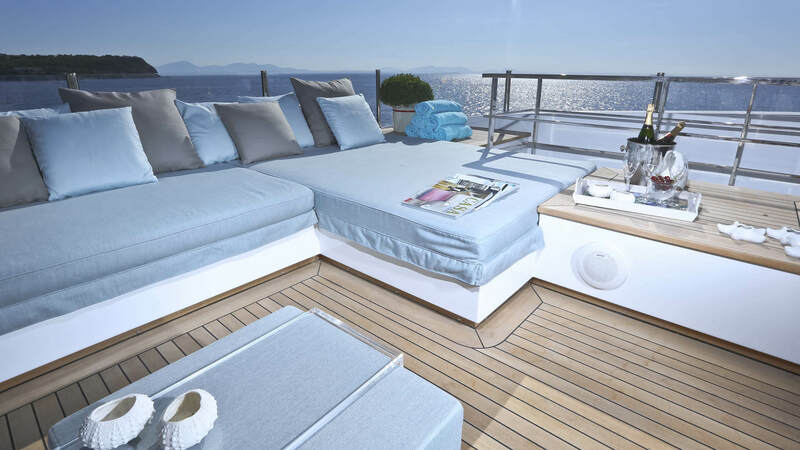 Even the external airs the interiors have been designed for ultimate relaxation and enjoyment. 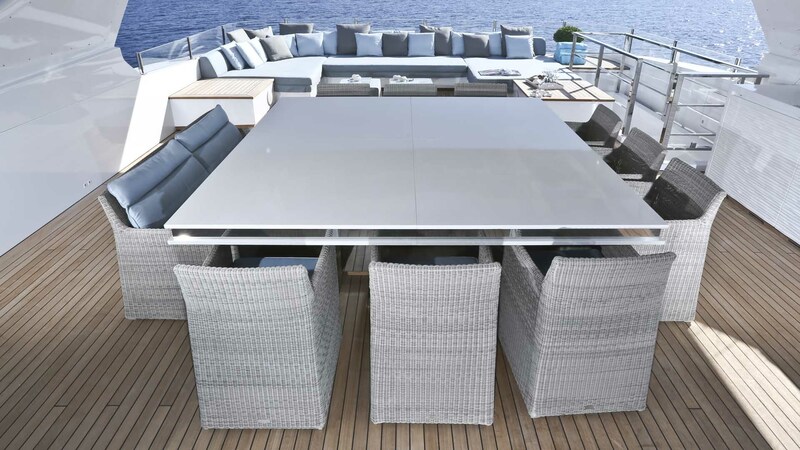 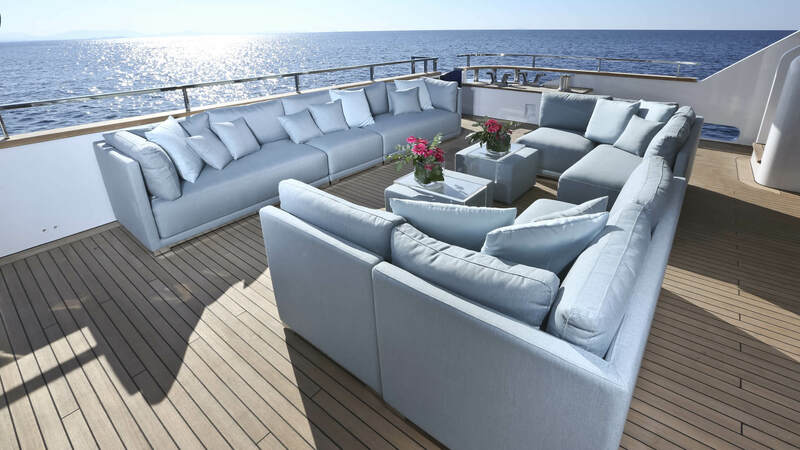 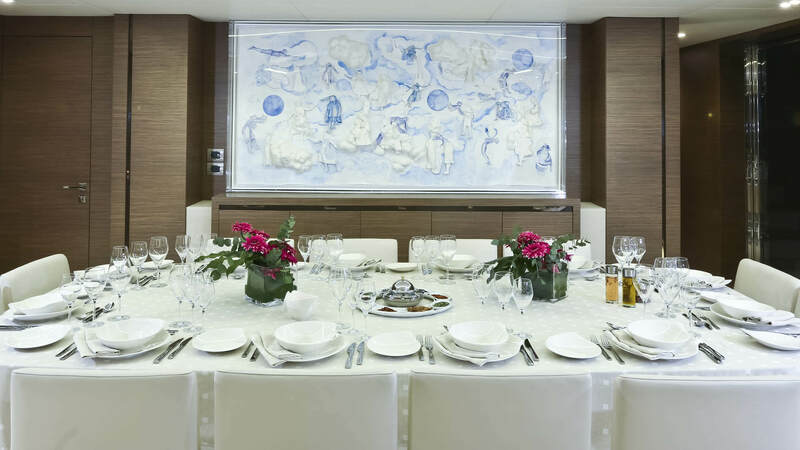 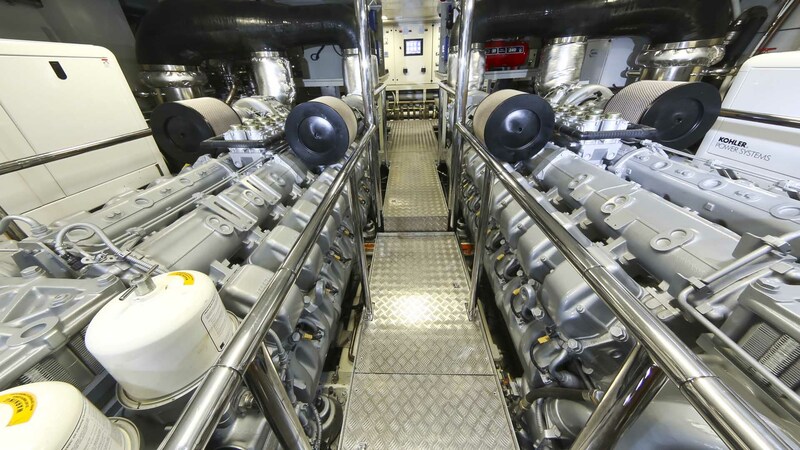 Aft of the main and upper decks were provided two outdoor areas dedicated to conviviality with big tables for dinners open air, leather sofas and lots of seating. 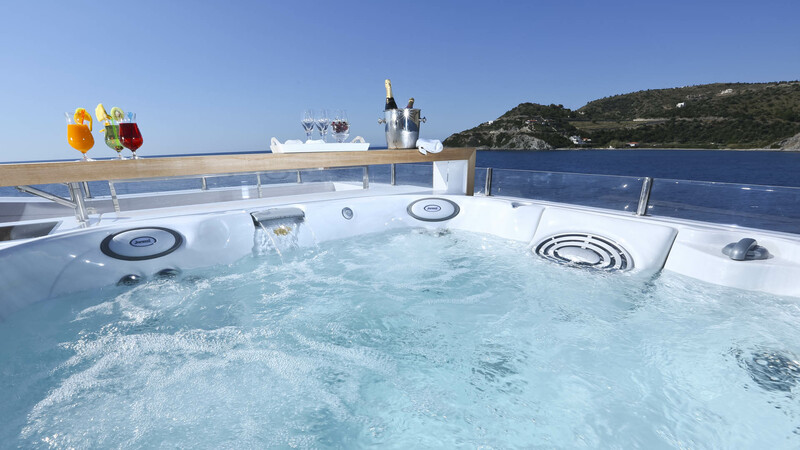 On the sun deck overlooks forward the large Jacuzzi, a bar area and a large sunbathing area. 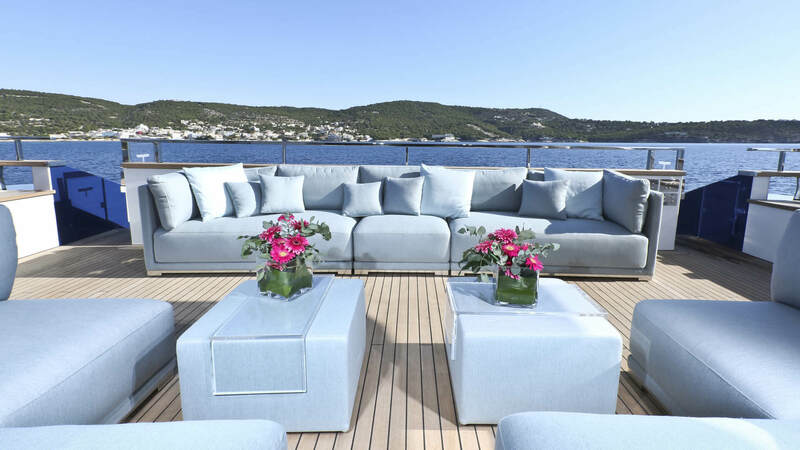 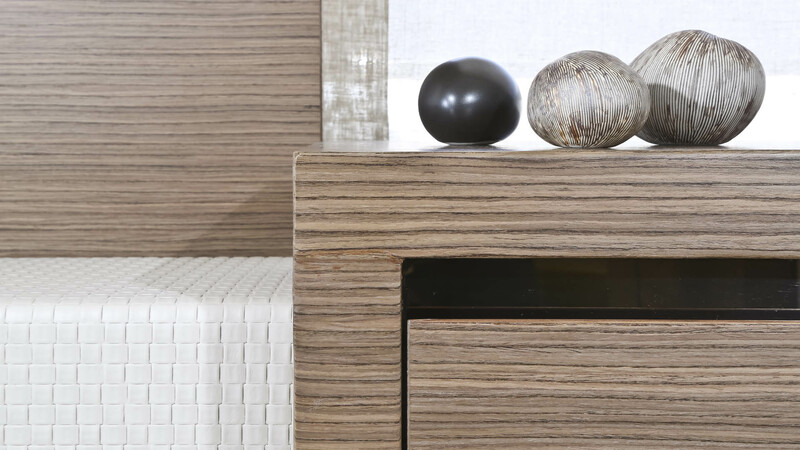 Aft is a comfortable conversation area with leather sofas and low tables. 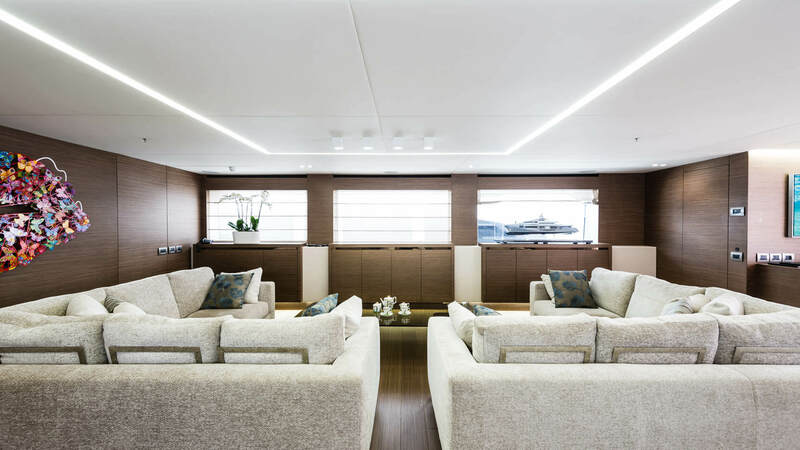 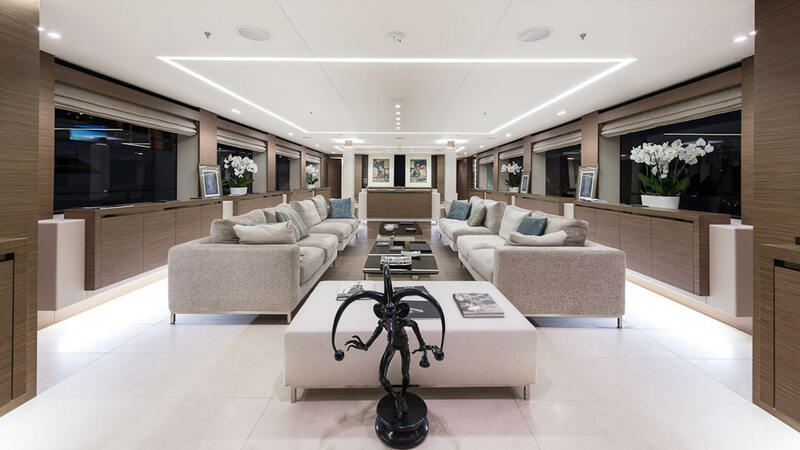 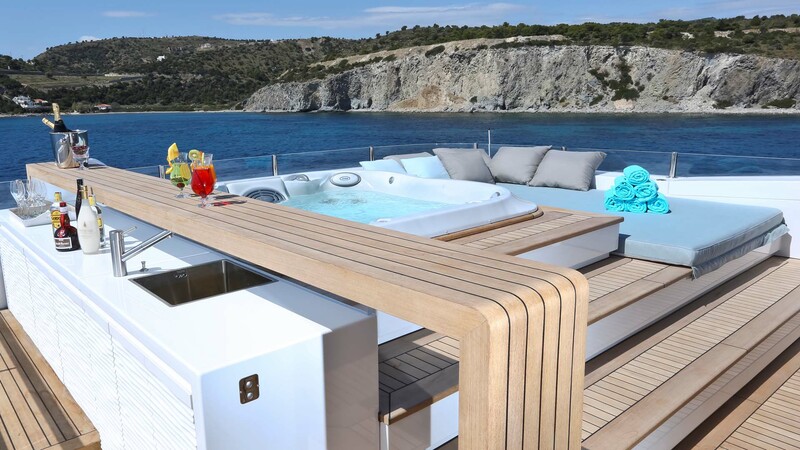 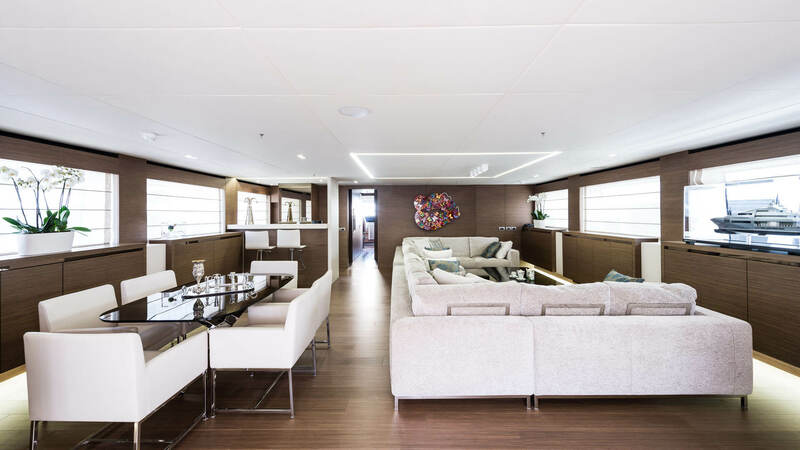 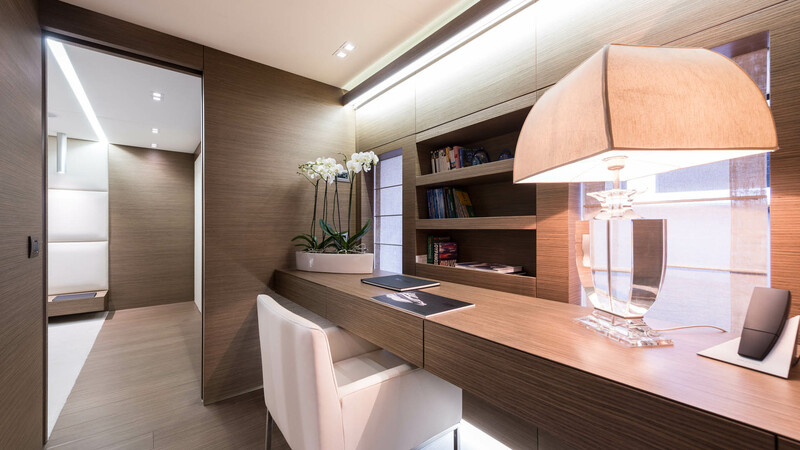 The main deck of the Ipanemas hosts a huge full-beam master suite with private gym area, work area and private bathrooms with sunken bath and marble surfaces. 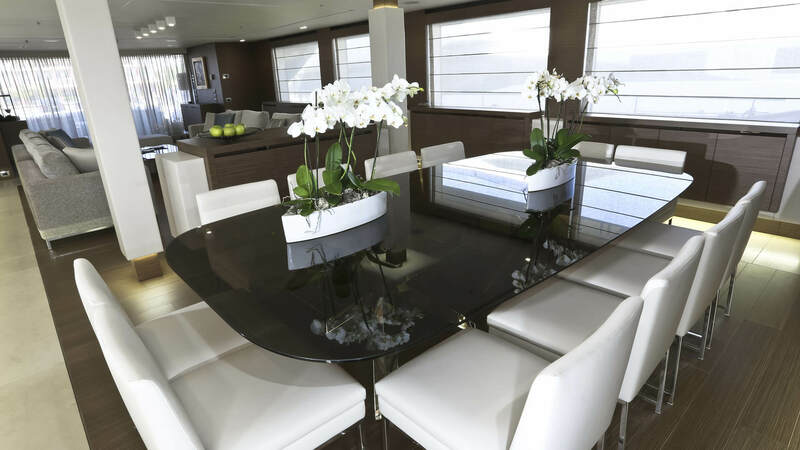 On the lower deck there are three VIP cabins, two Twin and two coaches each with private bath. 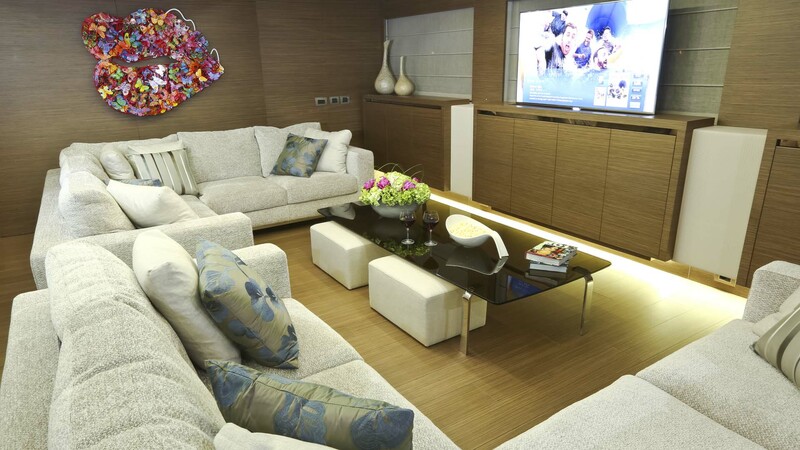 The crew area, with four cabins can accommodate up to 9 employees to ensure guests the best of possible border experiences.